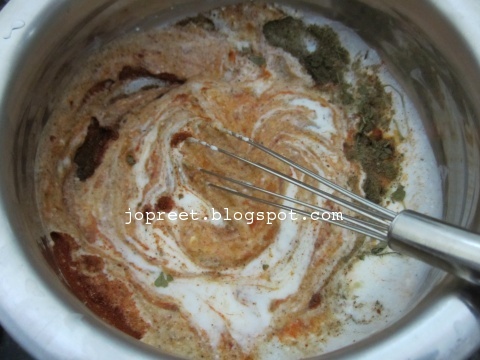 Combine curd and ginger-garlic paste in a mixing bowl. Whisk it properly. Add turmeric powder, red chili powder, garam masala, chaat masala, dried fenugreek leaves and salt to taste. Mix up everything. 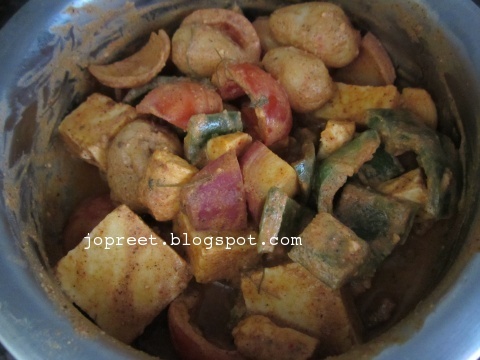 Add onion cubes, tomato cubes, capsicum cubes, baby potatoes and paneer cubes to it. Make sure all the veggies are well coated with the masala. Close it and keep in refrigerator for 4hrs. I refrigerated it overnight to get better results. On next day, take out the bowl and keep aside for 20 mins. Add oil to it and mix everything well. Preheat oven to 200 degrees C in Broil/Grill Mode for 10 mins. Wrap up the wire grill tray with aluminum foil sheet. 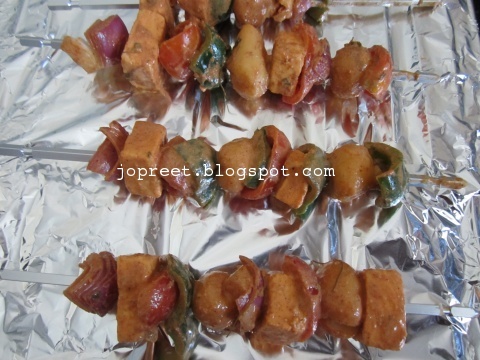 Arrange the marinated paneer and veggies in the skewer rods. 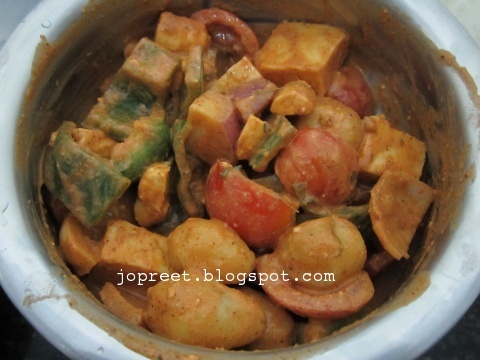 Arrange them in the order of onion, paneer, tomato, capsicum and baby potatoes. Keep the tray in middle rack and grill the tikka for 20 mins. Check the tikka for every ten mins and turn over the skewer rods. You can sprinkle lemon juice over the tikka and serve hot with mint chutney. Colourful tikka !!! Tempting …..
OMG! my fav paneer tikka with full of veggies. Lovely dear. Yummy healthy and delicious. Awesome looking tikkas. Love the look of them. 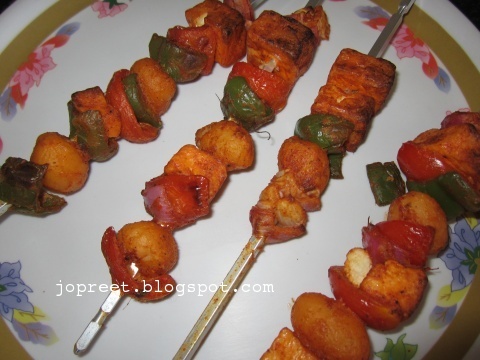 Paneer tikka with veggies looks awesome.